Teaching your kids about history can be challenging, especially when they’re younger. They get bored easily! That’s why many parents use different techniques and props to keep their child interested. 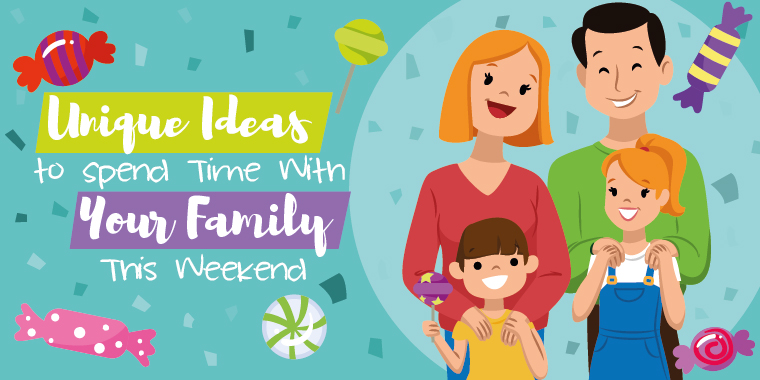 When it comes to learning about other countries, foreign candy is one of the best tools to share history with your kids! After all, who doesn’t love a sweet treat to top off an educational lesson? 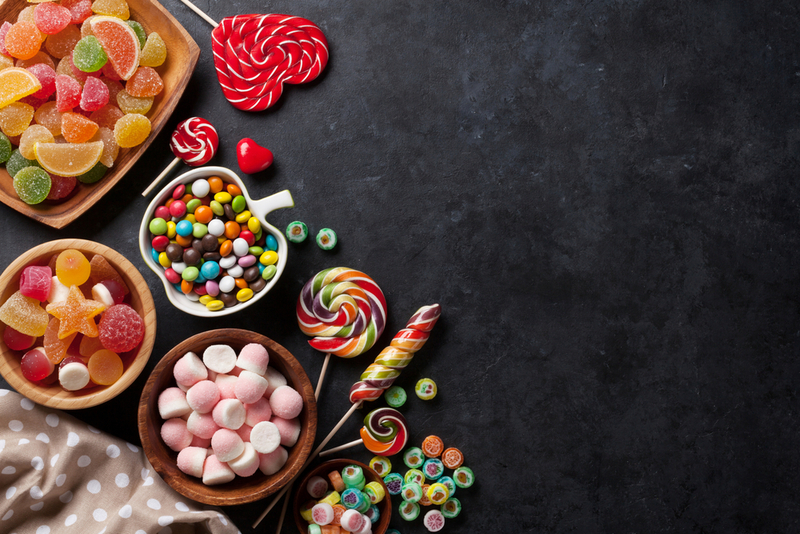 Here are the stories behind four of the most popular candy around that will be sure to delight the whole family! 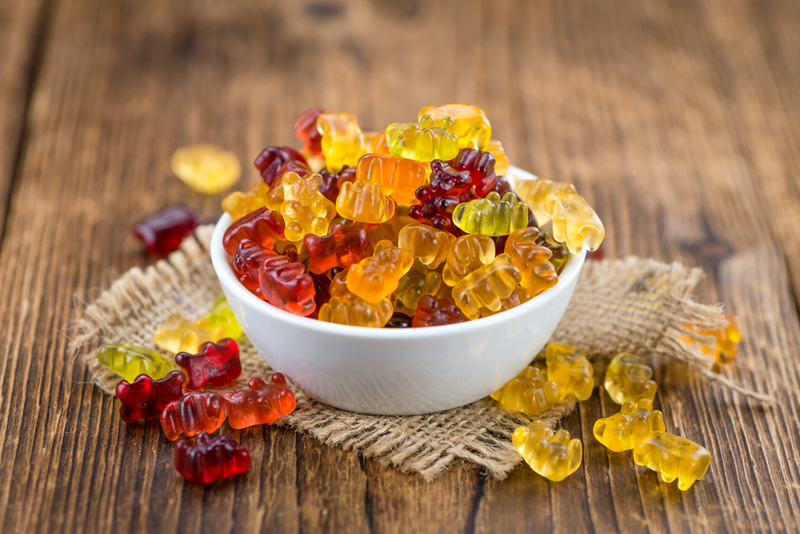 The Gummy Bear is the sweet, unassuming chewy candy we love to get our teeth on. 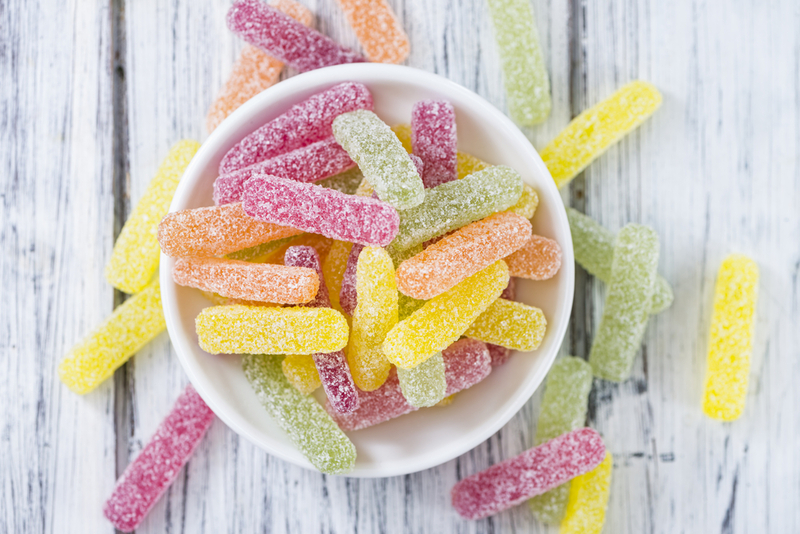 Turns out, this classic sweet is actually a foreign candy. It was first made in Germany by Hans Riegel of Bonn, who, in 1920, was sick of his dead-end job and decided to start his own sweets company. 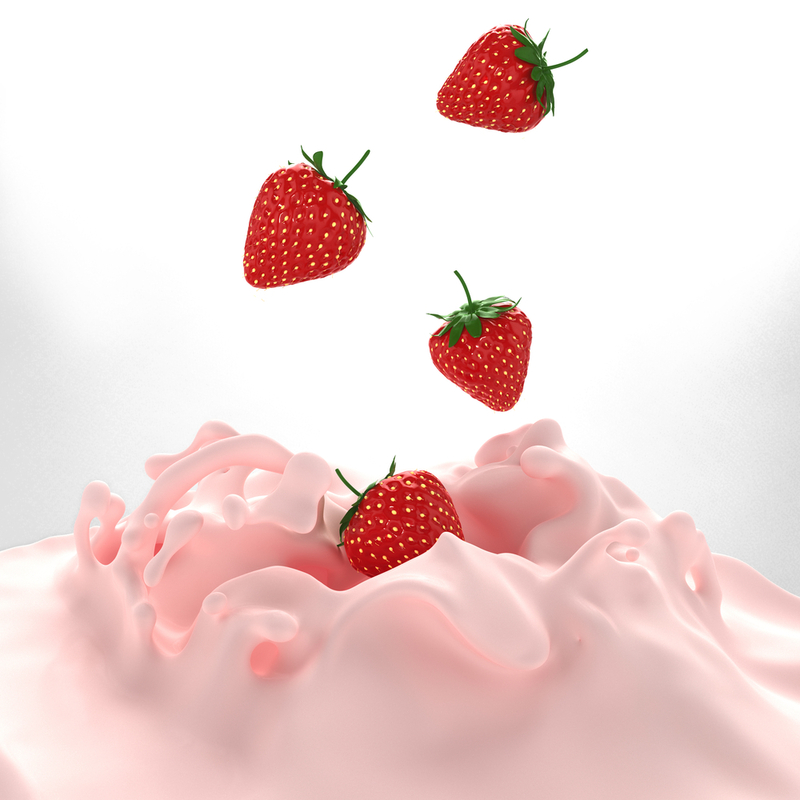 It took the guy a few tries but soon, he came up with the idea of soft, gelatin-based candy filled with fruit flavors. Better yet, this candy would come in the form of dancing bears. Fun fact: Rigel used his initials to name his company Ha + Ri + Bo = Haribo! Even though the jelly bean is not technically a foreign candy–it was invented based on popular foreign candies that Schrafft loved. The sweet candy, an Easter staple, is said to be a combination of two types of sweets: the Turkish Delight (sweet and chewy) and the crunchy sugar shell coating of the Jordan almonds. 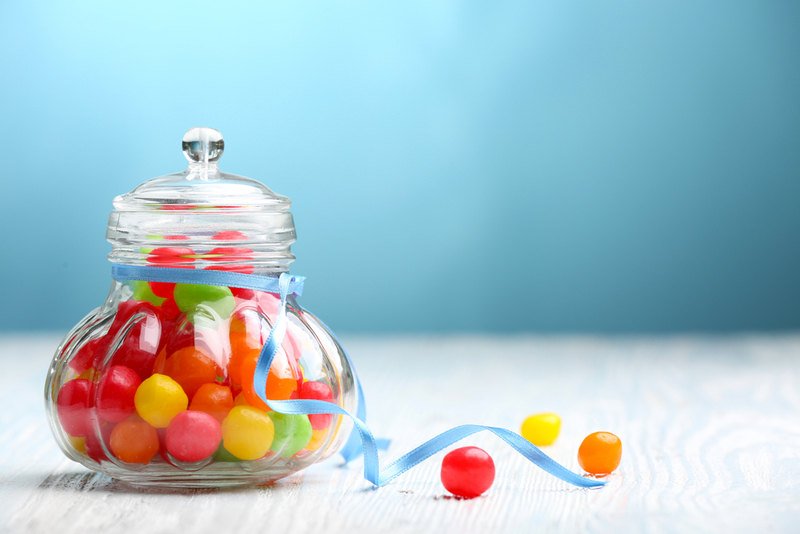 Jelly beans became a popular penny candy in the 1900’s and when Ronald Reagan said it was his favorite candy in the mid-1960s, this sweet got a boost in popularity. Licorice has been around for centuries. The licorice root was found in the tomb of King Tut by archeologists who presumed that he wanted to be buried with this herb so that he could make his sweet drink “Mai Sus” in his next life. 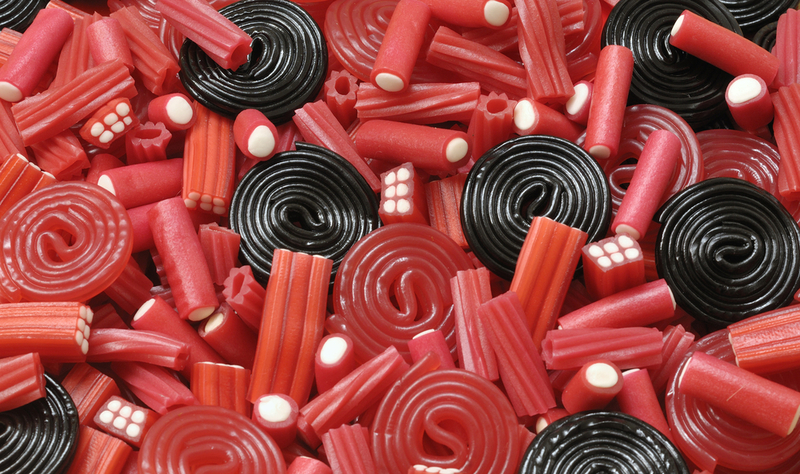 The Hindus and the Greeks, the Romans, the Chinese and the Babylonians all used licorice for medical purposes and to chew on when they did not have access to water. Licorice made its way to the Middle Ages as the herb to “alleviate the bad effects of highly spiced and overcooked food.” Moreover, it was so popular that in 1305 in England, there was a tax imposed on the import of licorice for the tax to help in the reparation of the London bridge. Licorice hasn’t changed much in its 3,000 years of use and yet, this sweet candy has had quite a journey. Chocolate covered raisins or Raisinets have been around since the 1920s. In 1927, the Blumenthal Brothers Chocolate Company of Philadelphia introduced this chewy chocolate candy which became a favorite movie treat. Raisinets were so popular that Nestlé acquired this candy and others owned by the Philadelphia company in 1984. This addictive candy first came in a box which people could buy for a nickel. These days, Raisinets are sold in bags and since the beginning, Raisinets have been polished so that each boasts an eye-pleasing sheen. Who knew candy came with so much history? Foreign candy and other delicious treats can be a part of any history lesson. Teach your little one that everything we enjoy today has a unique past. Sometimes, an education can be pretty darn sweet!